I apologize for the worrisome inactivity at Whimsey Pie. Around the middle of June, circumstances around here conspired to create the perfect storm of chaos, ruining my chances of posting anything worth reading. My daughter was preparing to leave for Europe with American Music Abroad at the same time my husband and I were heading to San Diego. Because the boys weren’t traveling at all (much to their consternation), preparations for a long stay with cousins, involving electric guitars, scooters, roller blades, and numerous small fire crackers, was also required. I imagine packing and organizing that many different trips would be enough to send even uber-organized Martha Stewart to the funny farm. Dear readers, Martha Stewart (or any other organized maven for that matter) I am not. Not that I can’t pack up my family like a pro. I certainly can, as long as I don’t also have to contend with baseball tournaments and make-up games, a fender-bender causing $4000.00 dollars worth of damage to my Pathfinder, and the fall-out from serious health issues of a family member. Yikes! Even now, thinking about that week makes my eye start to twitch. Of course, everything did eventually come together and I found myself in beautiful San Diego for nine glorious days. Silly me, I thought I would actually blog on vacation. To my surprise, I found that I was, well, on vacation, and wanted to do other things like go to the beach or take a hike rather than blog. If you’ve ever been to that part of southern California, you will understand the unique synergism of weather and natural surroundings that pulls at the soul to be continually outside. Sitting in my hotel room typing on a computer was the last thing in the world I felt like doing – and I love to write! The only downer to traveling has been the acquisition of a rather nasty cough which settled in during the flight to California. It is my firm belief that airplanes are cess pools of contagious germs. I’ve been home for four days and all I want to do is chug gallons of cough syrup with codeine and sleep my life away. Being awake means attempting to cough up a lung. This is driving me and anyone near me crazy. I’m not looking for sympathy – well, maybe just a tiny little bit. Really, I just wanted to state for the record that I’ve had my reasons (legitimate or not is yet to be decided) for neglecting this little corner of the Web. My June reading has had its ups and downs and I’m rather disappointed I didn’t get more accomplished. On the bright side, the group of books I chose offers a diversity of genres that might appeal to a variety of readers. Without further delay (or whining), here are my June books for the 50/50 Reading Challenge. I have really enjoyed both (and the only) books that Donna Tartt has written. I did feel as though The Secret History went over my head a little though. I’m trying to teach myself a bit about Greek myths then I’ll try it again. The Little Friend is a pretty big book and hard going at times, but really worth a read. 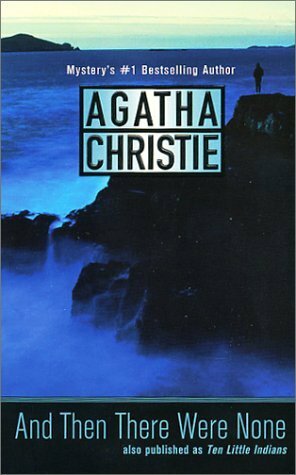 In fact, I’ll be reading that again soon, because I was quite young when I last read it and think I might appreciate parts of it more now. I’ve only read Gaiman’s short stories, but love the film of Stardust, so that’s on my list too! Thanks for your reviews! You’re very welcome. It’s funny, I appreciate the Secret History more the further away from reading it I get. The setting is so vivdly described and the characters so unique. I think about it often. 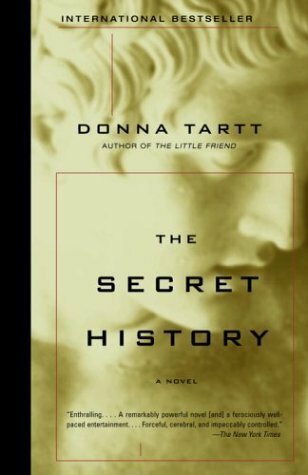 After reading The Secret History, I searched out Donna Tartt’s other books and was surpised to find that she hadn’t become a very prolific writer. I’ll have to look into The Little Friend when I’m looking for another reading workout.